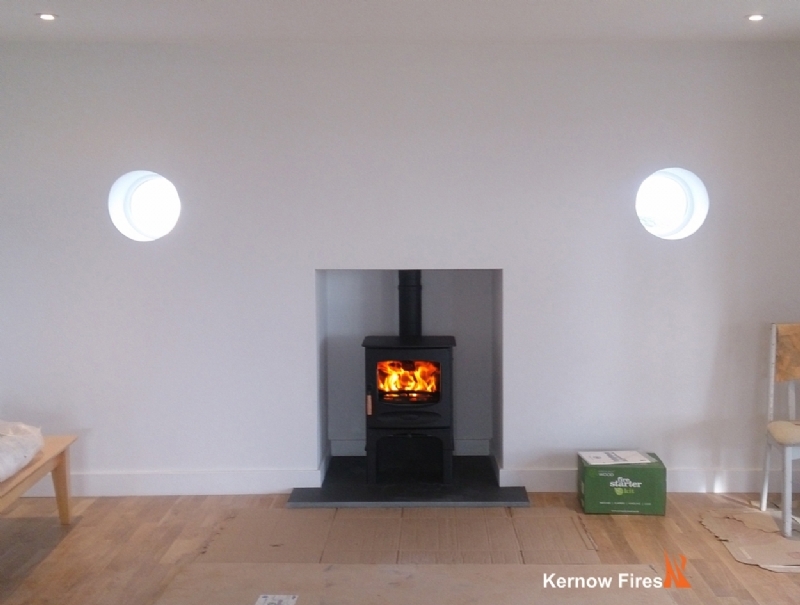 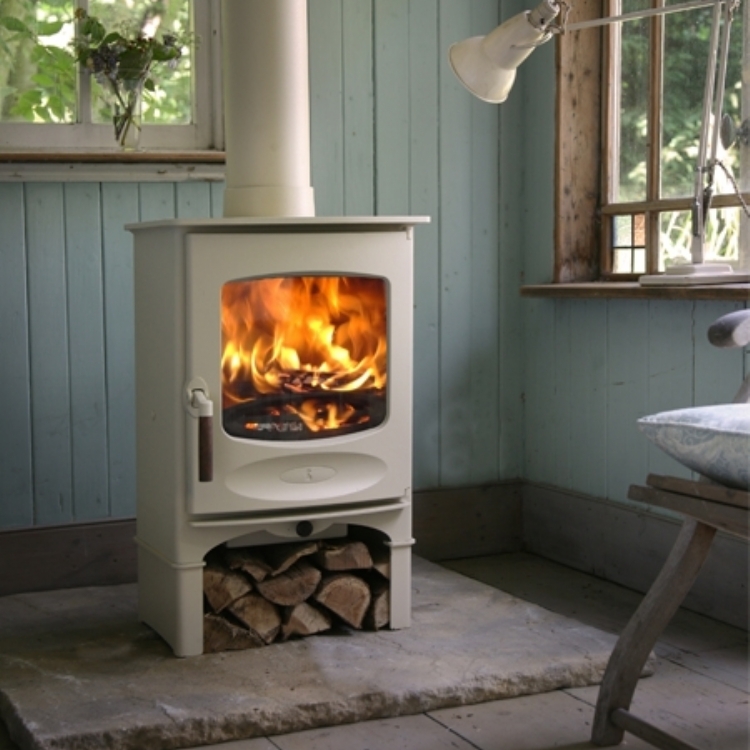 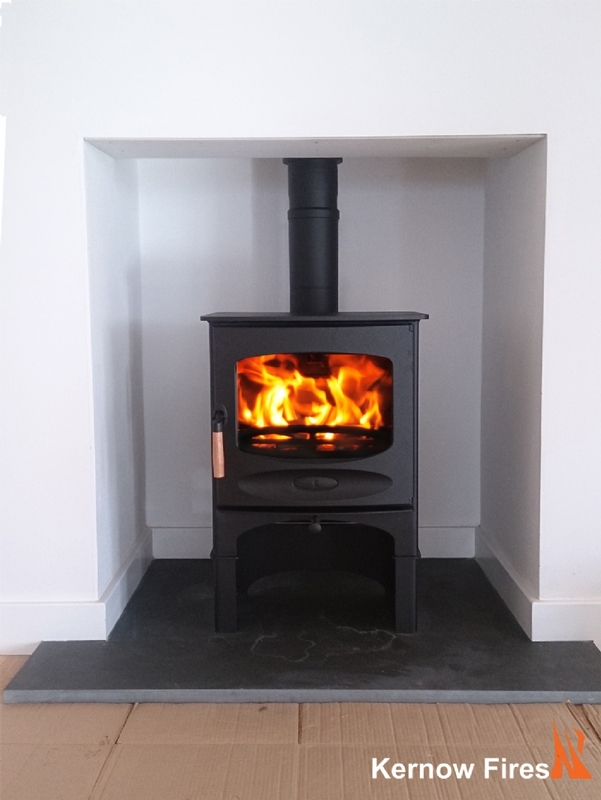 Charnwood C5 with log store wood burning stove installation from Kernow Fires. 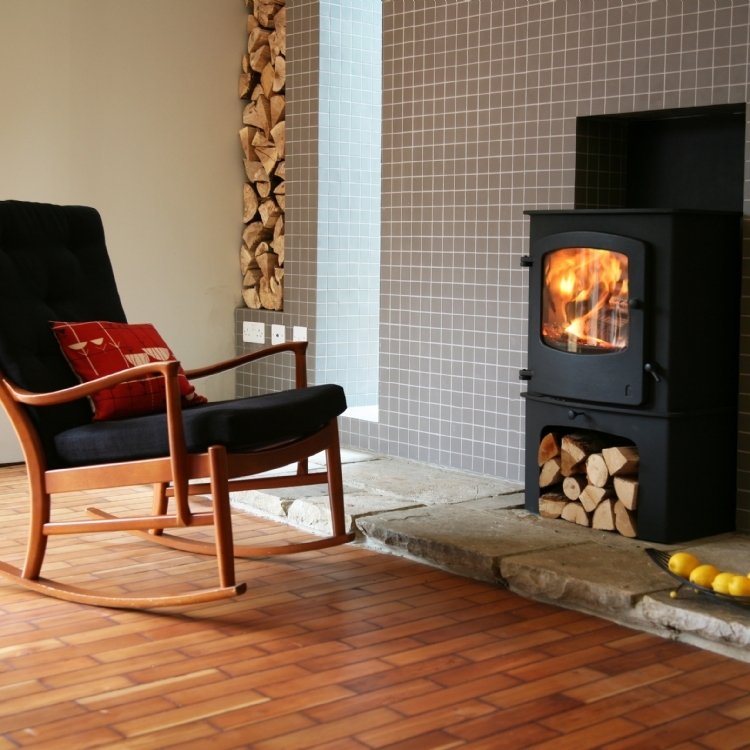 The Charnwood C5 with log store fits perfectly into this clean contemporary fireplace. 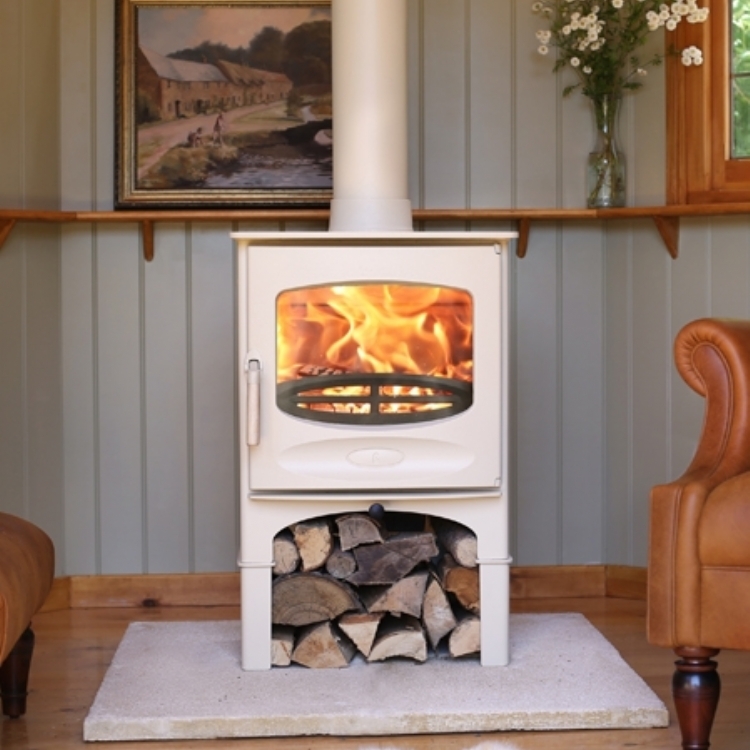 The wide window of the C5 is very popular giving a good view of the fire when burning.